On New Year's Day 2018, Apple set a record for the most revenue earned by the App Store in one day. Just a few days ago, on January 1st, the App Store brought in $300 million in gross revenue. 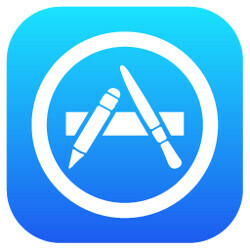 During the seven days that started on Christmas Day, the App Store took in an amazing $890 million. Since the launch of the store in July 2008, Apple has paid out $86 billion to developers for their share of paid apps and subscriptions purchased through the App Store. During 2017, developers received $26.5 billion, up 30% on a year-over-year basis. Hit games last year included titles like Animal Crossing: Pocket Camp, Monument Valley 2, King of Glory, Clash of Clans and Candy Crush Saga. Other popular apps installed often last year were meditation app Calm, video editor Enlight Videoleap, password manager 1Password and streaming video provider Hulu. Apple keeps 30% of the revenue generated by paid apps purchased in the App Store, leaving 70% for developers. Subscriptions that run for more than a year give developers 85% of the revenue generated with Apple taking the remaining 15%. Last year also saw Apple unveil a redesigned App Store with the release of iOS 11 in September. And with Apple's growing emphasis on Augmented Reality, there are now 2,000 ARKit enabled apps on the shelves. Popular AR games include CSR Racing 2, Stack AR and Kings of Pool. AR shopping apps from Wayfair and Amazon also have been quite popular. Speaking of AR, new features that were added to Pokemon GO on December 21st returned the game to the top of the App Store charts for a brief time. Wow, this is the perk of being closed source. Apple enjoys the buffet all by itself. Apple knows how to get bank, can’t even hate on em about that one.